Perhaps you have recently joined the e-cig family or are considering becoming a vapor smoker very soon. Whatever your situation may be, we're here to tell you that your mother was right in saying that it's very important to mind your manners. As you are probably well aware, a shroud of controversy surrounds vapor smoking and a lot of that is due to a lack of understanding and a poor reputation. However, if everyone does their part by making socially responsible choices when vaping, then together we can gradually help dispel these myths and misconceptions. Along with choosing a smoke-free lifestyle, you can also reap the benefit of satisfying your cravings in places that you cannot smoke tobacco cigarettes. Like with other activities done in public though, you need to understand certain rules of etiquette before you begin using an e-cigarette in public. Below are great tips that every vapor smoker should consider if they want a more fulfilling and less controversial experience. You should educate yourself on all aspects of e-cigs. Prove to a non-user that you know what you're talking about and are informed about the technology you are using. Do you fully understand how it works and why many people believe e-cigs are an excellent alternative to traditional smoking? You can start educating yourself right now by visiting our knowledge center. When in a public place, don't just pull out your e-cig and start vaping if you don't know the establishment's policies. Ask if it is okay first. Being polite will help improve the image of vapor smoking in general. Education is the key. Many people don't know all that much about e-cigs. It's up to each vapor smoker to share why they have chosen vaping over traditional smoking. Just be sure to avoid coming across as condescending or arrogant. It's best to avoid vaping altogether when children are around. Many people aren't aware that e-cigs do not contain harmful secondhand smoke or carcinogens like traditional cigarettes. Plus, many e-cigs look like traditional cigarettes and can easily be confused for one. Remember that parents are just trying to protect their children. If a parent says that it's fine for you to use your e-cig around their child, then that is a different story. Otherwise, it's best to avoid the confrontation. However, even if you live in a state that allows vaping in public, remember, there is a time and place for their use—and that time may not be at a restaurant table. Again, it's best to avoid a potential confrontation when you can rather than provoke anything. Furthermore, many people are still uneducated about how e-cigs work, undecided as to whether they are safe, and others still cannot tell the difference between smoking and vaping. In these instances, there are also people who will not care how safe vaping is and will always see “you smoking a cigarette”; leading to confrontation and awkwardness. You can try to educate those around you about smokeless cigarettes in order to gain public favor. In this way, you can tell those around you what exactly an e-cigarette is (for those who have limited knowledge) and even explain why you prefer a smokeless cigarette over a traditional tobacco one. Don’t expect immediate understanding or even to change a person’s stance on vaping—simply provide information in a relaxed manner. Chances are if you are concerned about vaping etiquette, then you probably already use a smokeless cigarette. Etiquette is always something to be mindful of and good advice to pass along to anybody considering a smokeless alternative. At VaporFi, we're excited that you have chosen to join the vapor smoking family, or are considering doing so. We are here to answer any questions that you may have regarding e-cigs and our vapor smoking products in general. Feel free to contact us toll-free Mon-Fri 8am-10pm to speak with a friendly customer service staff member. In case you didn't know, we offer over 30,000 delicious e-juice combinations and an excellent variety of advanced e-cigs. 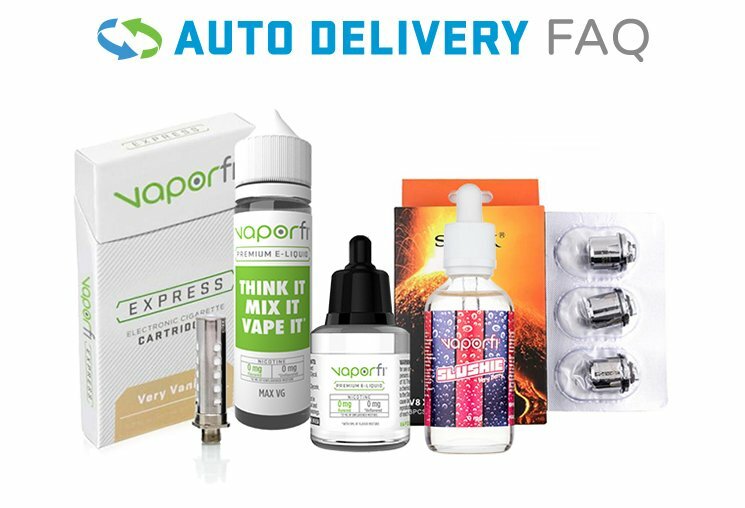 Browse our site to learn more about our products, as well as our blog to keep up with the latest e-cig headlines and VaporFi specials. As always, happy vaping everyone! And don't forget your vapor smoking manners.